The name derives from the Latin word "river bank" (bank) and "rubea" (red), referring to the particular color of the ground. Located in the province of Turin, in the Canavese area, whose territory extends from the stream Malone and the feet of Vauda, rich in woods and washed by the stream Mignana and crossed by several paths. The first settlement, located in Borgallo, dates from the VIII-IX centuries and where, around year 1000, the Priory of St. Mary Magdalene was built, and it became the fulcrum around which the town was completed. The territories were also part of the domain of the San Martino and Valperga Families, protagonists of a series of clashes between themselves, that ended with a failed attempt by the Valperga in 1339 to oust the heir of the San Martino. In the XIV century it was conquered by Philip of Achaia, who in the same period was involved in the revolt with the Tuchini, fueled by the Marquis of Monferrato and enemy of the Savoy, that ended by the intervention of Amadeus VII. The XVI century was characterized by the invasions of Spanish and French troops, that destroyed the castle and city walls, the XVII century by famine and the XVIII by the involvement in the War of Spanish Succession. 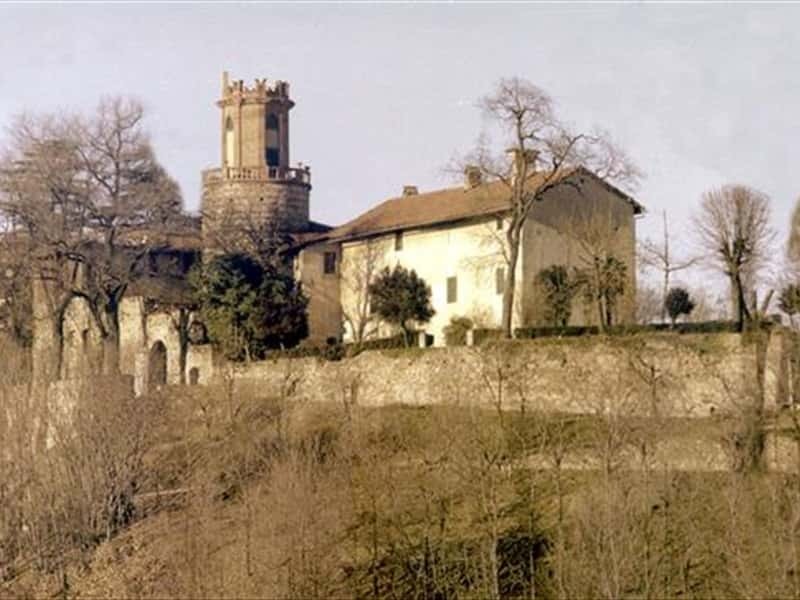 - the Castle of Valperga, renovated and refurbished several times over the centuries. This town web page has been visited 13,713 times.